TRACY TALBOT DAVIS was born in Detroit, Michigan on May 10, 1963. She attended UCLA from 1981-1983, Paul Valerie University in Montpellier, France from 1983-1984, and graduated from UCLA in 1985 with a B.A. in French Literature. She went on to attend Southwestern University School of Law graduating with a J.D. in 1988. She began her career as an attorney with Fonda & Garrard and later Fonda, Garrard, Hilberman & Davis, from 1989 to 1997. 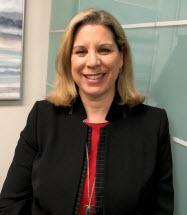 She joined Garrard & Davis in 1997 and remained there as a senior associate until 2014, when she co-founded the Steven D. Davis Law Group, APC. Ms. Davis is admitted to practice law in the State of California and all United States District Courts and enjoys a BV Rating from Martindale Hubbell. She is a member of the State Bar of California, the American Bar Association and the Los Angeles County Bar Association. Her special interests include spending time with her family, travel, skiing, figure skating and volunteering in the community.